The RL was Alfa Romeo’s first new sporty model designed after World War I. It went on sale in 1922 and lasted through 1927. It was available in a number of different variants and could be had as a bare chassis so coachbuilders could add their own personal touch. Not many of these were exported outside of Italy when new, but this is perhaps the only one that was shipped as a bare chassis to Spain, where it was bodied by J. Farré in Barcelona before meeting its owner in Mallorca in 1926. The engine is a 2.9-liter straight-six making 56 horsepower. This car is in original (but superb) condition and is being offered for sale for the first time outside of Spain in its life. No, it’s not black either… it’s a very nice, deep maroonish-brown. It does run and operate as if it were new. It should bring between $160,000-$210,000. Click here for more info and here for more from this sale. 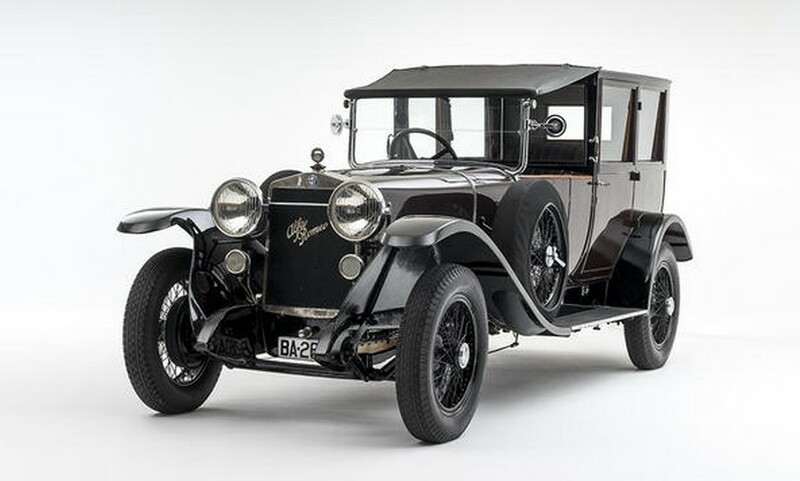 This entry was posted in Uncategorized and tagged 1924, alfa romeo, auctions, Bonhams, cars, classic cars, j. farre, limousine de ville, rl by classiccarweekly. Bookmark the permalink.